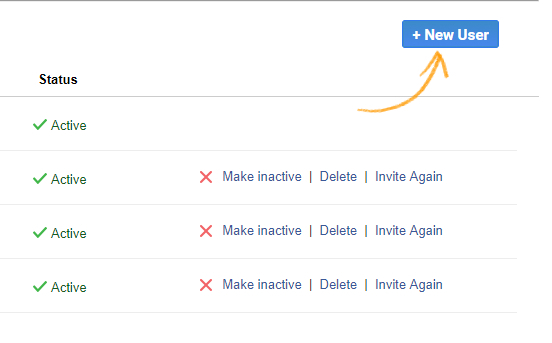 With member manager, you can add new users and manage their permissions and roles. 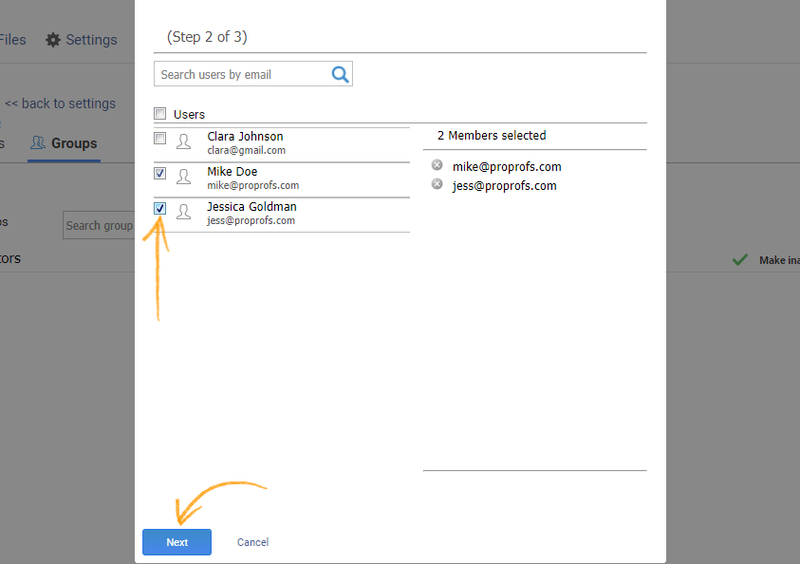 You can also organize them into groups or teams and manage group permissions. 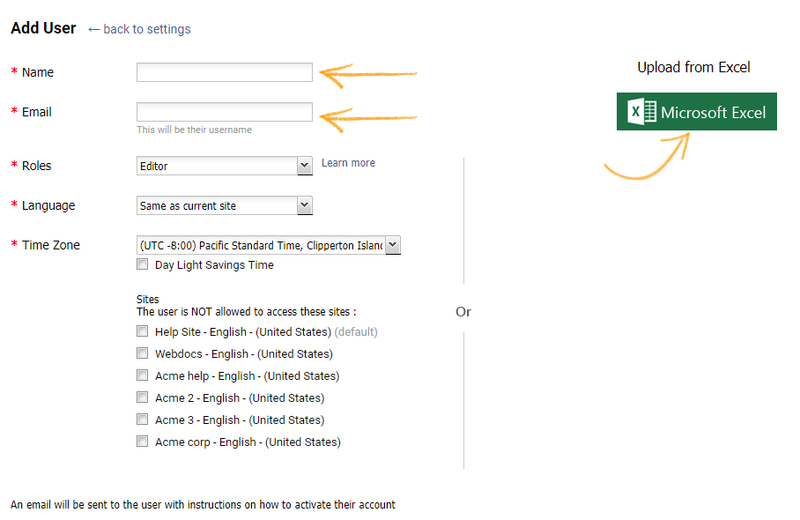 Additionally, you can control access of users and groups to content in your knowledge bases. How to add and manage users? Step 1. Go to "Settings" and click on "Users." Step 2. Click on "New User." Step 3. Add the details of the user such as name, email, language and time zone. You can also upload user details from an excel file. You can also assign roles such as contributor, editor, administrator and control which help sites the user can or cannot access. How to create and manage groups? Step 1. Go to the "Users" section under settings and Click on the 'Groups" Tab. If you don't already have a group Click on "First group" to start creating a group, you can also click on "New Group" button at the top right to create a new group anytime. Step 2. When you click on the create group button, a pop-up will load up. Enter the name of the group and click "Next." Step 3. Add members to the group from the list of existing users. Then, click on "Next." 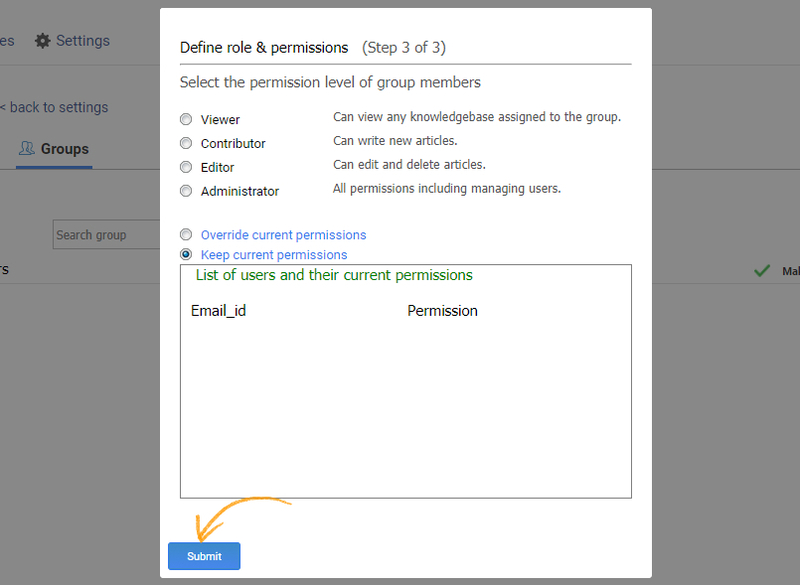 Step 4: In the next screen that pops up, define the roles and permissions of the group members. 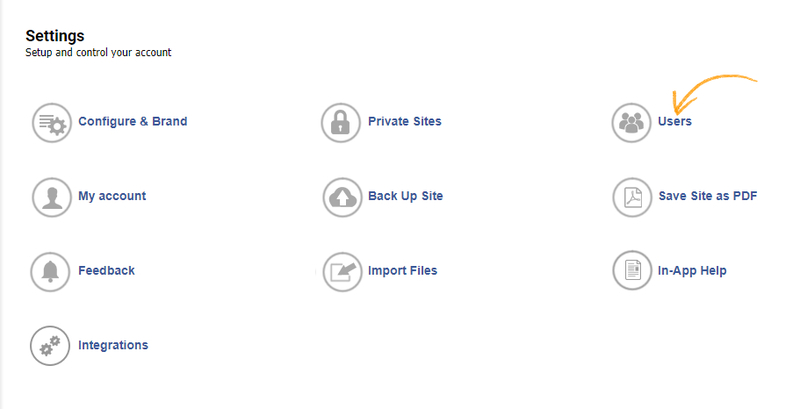 You can also override the current permissions. When you are done setting the roles and permissions, click "Submit." Once you've have completed and saved all the steps above, you will be able to efficiently manage and collaborate with multiple writers and editors to create your knowledge base. If you wish to make changes to the group you created like remove or add users, change the group name, or alter user roles, click "Edit" under the group name.